Last edited by mr.negativity on Thu Jan 05, 2017 12:23 pm, edited 1 time in total. When I saw the title, I thought this was a new fighting game. "Picard vs Donald. Heaven or hell? Let's rock!" Ugh. For god's sake Disney. Sorry you don't make ALL the money, but could you lay off of a decent franchise. I'd rather see Disney vs. Sony and Fox, so they can get the film rights from to The Fantastic Four, X Men, and Spider Man, and give them back to Marvel. That interview from last month is now hilarious now. They must have made him an offer he couldn't refuse! Disney is the Mom who gets custody of the kids, and Paramount is the dad paying alimoney & child support for the forseeable future. Last edited by mr.negativity on Fri Dec 06, 2013 6:54 pm, edited 1 time in total. Disney and Paramount have reached an agreement for the future of the Indiana Jones franchise, giving Disney control over all future films. Rebecca Ford wrote: Disney and Paramount have reached an agreement for the future of the Indiana Jones franchise, giving Disney control over all future films. Paramount retains rights to the first four films and "will receive a financial participation on any future films that are produced and released," says the statement from the studios. The Walt Disney Co. completed its acquisition of Lucasfilm, the moviemaking company founded by George Lucas, in December 2012 for a cash payment of $2.21 billion and just under 37.1 million Disney shares. The first four adventure films in the Harrison Ford-starring franchise -- 1981 Raiders of the Lost Ark, 1984's Indiana Jones and the Temple of Doom, 1989's Indiana Jones and the Last Crusade and 2008's Indiana Jones and the Kingdom of the Crystal Skull -- were all directed by Steven Spielberg and distributed by Paramount. If we get Han Solo and Indiana Jones in the same shot somehow as a result of this then: Greatest Acquisition EVER. The company is taking the write-down months before the big-budget film opens in cinemas. Pamela McClintock & Kim Masters wrote: With an estimated production budget of $100 million-plus, one source said the film was intended to be a broad-audience title, but turned out to be more of a kids movie. Given Paramount's slew of box-office misses this year, Jefferies analyst John Janedis wrote in a Wednesday report that the studio's "issues" were "ongoing." He added: "Viacom indicated there would be a write-down of $115 million related to a future film that will not likely perform to expectations." And Drexel Hamilton analyst Tony Wible said that the loss "implies that Paramount will have lost about $500 million this year despite a favorable box office, home entertainment and licensing environment." He added: "The studio is gradually losing its major franchises, and it may be difficult to launch new ones in the increasingly competitive film slate. We are lowering our future margin assumptions for the studio." Ramin Setoodeh & Brent Lang wrote: Moore, who didn’t respond to requests for comment, has been in his current job since 2008 (and with the studio since 2005), overseeing Paramount’s worldwide marketing, distribution, digital and television arms, and shepherded tentpoles like the “Transformers” and “Mission: Impossible” franchises, “Interstellar” and “The Wolf of Wall Street.” The studio does not expect to fill Moore’s position. A source close to the situation said that the decision to ask for Moore’s resignation was made by the board of Viacom, Paramount’s corporate parent. Moore’s exit comes as the studio is having a particularly turbulent year at the box office, with costly flops such as “Ben-Hur,” “Teenage Mutant Ninja Turtles: Out of the Shadows” and “Zoolander 2″ piling up. This week, Viacom said in public filings that Paramount would take a $115 million write-off on the still unreleased “Monster Trucks,” which bows in 2017. Following the exit of Dauman, Viacom’s leadership gave a vote of confidence to current Paramount chairman Brad Grey. Moore was the executive in charge of the day-to-day operations at the studio. He was also integral in maneuvering Paramount’s releases in China, frequently traveling to Asia. Paramount Pictures puts the brakes on two long in-development horror sequels, with both Rings and Friday the 13th delayed by several months. Well they did just sign up a bunch of their stuff on Netflex in September, so I could see them doing this, Just don't spike the price and/or make things price walled. Netflix has gone downhill ever since they lost the streaming rights to The Warriors a few days ago. Mr. Wong is most renowned for his essential contribution to Walt Disney’s 1942 animated classic, “Bambi.” While he worked a drudge’s job at the Disney animation studio during the day, he spent nights painting hundreds of watercolors to show his own vision of the film’s look. Mr. Wong’s style emphasized the film’s animal characters in the foreground, evoking the lush surrounding forest with minimal brushwork, gentle washes and slashes of color. 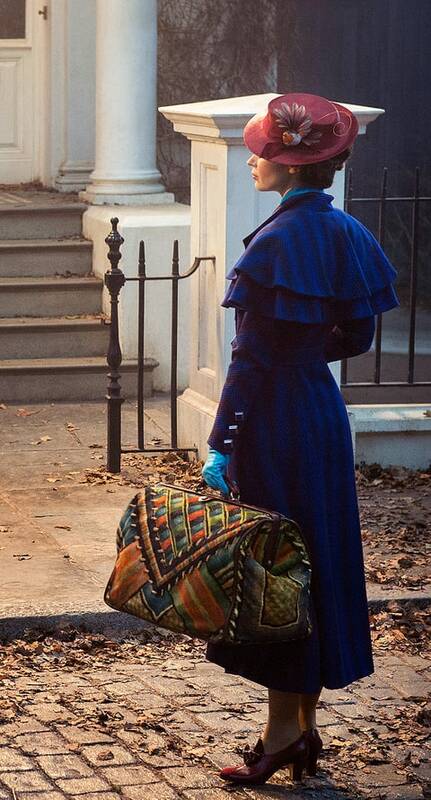 Re: "I'm Mary Poppins, Y'all"
Emily Blunt Is Mary Poppins! Netflix, ABC Hacker Promises More Leaks: "Hollywood Is Under Attack"
TheDarkOverlord hacking collective claims to have studio films: "We're in the business of earning vast amounts of internet money." Earlier today, reports came in that an unnamed, unreleased Disney movie had been stolen from the company by hackers. Company CEO Bob Iger informed ABC employees at a town-hall-style meeting that a movie had been taken, and that it was being held hostage in exchange for a large sum of bitcoin. Deadline is now reporting that the stolen property is the forthcoming Pirates of the Caribbean: Dead Men Tell No Tales, and that the company is working with the FBI in order to resolve the issue. Iger said that Disney has no plans to pay the ransom, despite the fact that the hackers have threatened to release the entire movie in five-minute-long increments unless the studio antes up with the bitcoin. Parallels are being drawn between this incident and a recent one in which hackers threatened to release the entire fifth season of Orange Is the New Black unless ransom demands where met. 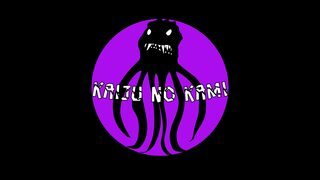 Netflix also refused to pay, and the hackers in that case did follow through on their promise, dumping all ten episodes of the upcoming fifth season on the Pirate Bay just last month. ^Disney is probably the only entity that I think can pull this off. Otherwise, I think we'll hit the streaming service limit soon. I hate that the streaming stuff is getting broken up into so many different subscriptions. CBS already refuses to put their shows on Hulu. Now I'm sure abc will be moved over to this Disney service since they're owned by the mouse. I've already got Netflix, Hulu, and Amazon prime (well, we do that for other reasons, the streaming is just a bonus). But I flat out REFUSE to subscribe to brand specific streaming services. I hope it fails miserably. At least I can still get disney's stuff from Netflix via the disc subscription if there's something I want to see. ^ God, I love physical media! Nothing better than owning a copy of your favorite movie or TV show or book and not having to worry about losing access to it. By the time every company does this, the outrageous cost of cable is going to be cheap. Well whatever. They had already pulled Ultimate Spider-Man before I could finish it, so I had to download the rest. As such, downloading their other shows won't matter much.